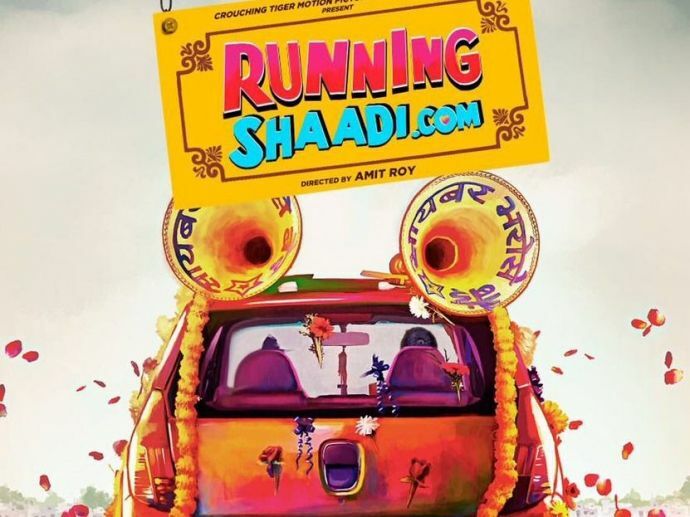 In the romantic-comedy, Taapsee Pannu And Amit Sadh collaborate to open a website, RunningShaadi.com, to help those in love elope and marry. After giving an influential and power packed performance in Pink, Tapsee is back with a new film, “RunningShaadi.com” opposite Amit Sadh. The railer was unveiled by Taapsee on her official twitter account, with message for her fans, “You have cried with me, now it’s time I make you laugh and dance. The romantic-comedy is directed by debutant Amit Roy. Before this Roy has worked as a choreographer with Ram Gopal Verma in films like - Sarkar, Rann and Sarkar Raj. In the trailer, the protagonist Taapsee is shown as the confident and a bit bossy young girl and Amit Sadh is shown as a cute shy guy who is from a samll town. They collaborate to open a website RunningShaadi.com to help those in love elope and marry. There is classic love triangle involved in the movie along with a lot of rollercoster comedy. The real drama starts when one of the brothers of their former client tries to chase them. The film is produced by Shoojit Sircar, Ronnie Lahiri and Crouching Tiger. The film is set to be released on February 03, 2017.